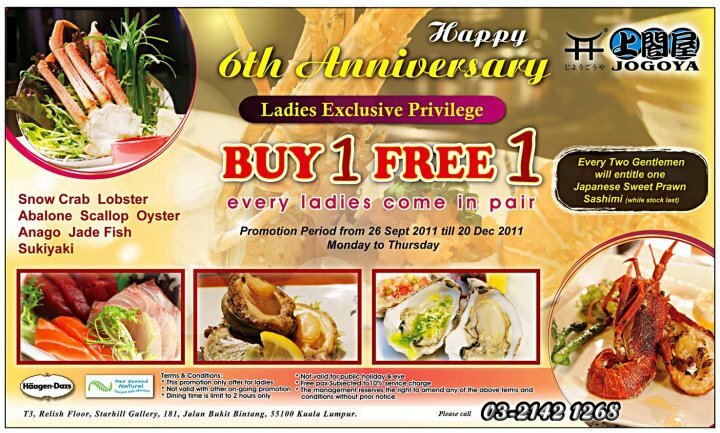 In conjunction with the 6th anniversary of Jogoya, they welcome ladies, yeah, every ladies, to enjoy their offer of BUY 1 FREE 1! Every ladies come in pair! Promotion Period from 26th September 2011 till 20th December 2011, every Monday to Thursday. Click the picture below for more information on this Jogoya Buffet Restaurant offer.